Martha Berry thanks Mrs. Hoge for sending a check and prays that the New Year is happier than the past year has been for her. She thanks her again for her kindness. 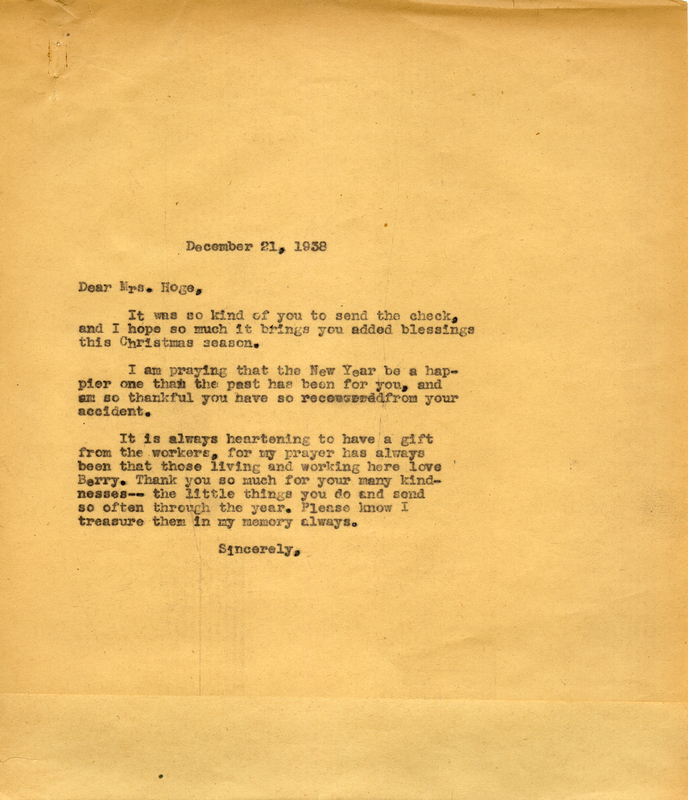 Martha Berry, “Letter to Mrs. Hoge from Martha Berry.” Martha Berry Digital Archive. Eds. Schlitz, Stephanie A., Cassie LaJeunesse, Jessica Hornbuckle, et al. Mount Berry: Berry College, 2016. accessed April 19, 2019, https://mbda.berry.edu/items/show/14574.